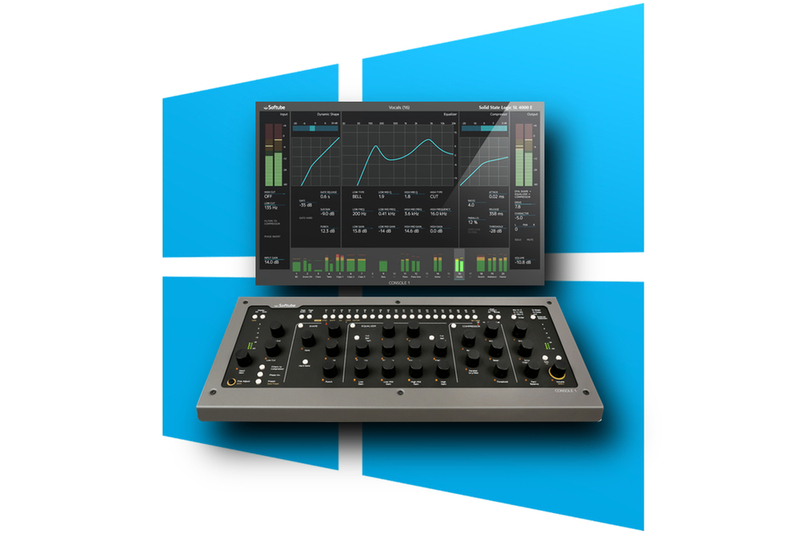 Swedish plugin superstars Softube have just announced the compatibility release of their innovative Console 1 for Microsoft Windows. Along with this exciting news comes added features for both the Windows and Mac OSX versions.Here’s what Softube say:The highly anticipated Windows version of the Console 1 software is finally here. But also Mac users can rejoice at the fact that the upgraded software version adds new features that further enhances the workflow. Console 1 has already been awarded the MIPA Award and Best in Show at NAMM 2014 from Pro Audio Network. It has received several Editor’s Choice awards, and has been the front cover model of Sound On Sound and on many other respected pro audio magazines around the world. It was called “a brilliant godsend” by Barry Rudolph in Mix Magazine. So it’s not surprising that Windows users have been eagerly awaiting the release of the Windows version of the software—and today is the day. Please see System Requirements for Console 1 for details, and then head to the Download page to get the software. But wait, there’s more … Softube have also announced that they now have automatic transfer of track name working for Pro Tools, Logic Pro and Ableton Live*. This means that the track name you enter in your DAW automatically gets transferred to the corresponding track in Console 1. Furthermore, in Ableton Live, they also have automatic transfer of track number. This means that any tracks you add, and any reordering of tracks you perform in Ableton Live is automatically mirrored in the Console 1 mixer. This places Ableton Live in the merry company of Studio One, Cubase and Nuendo, which are other DAWs where this function has been implemented. *Automatic transfer of track name/number in Ableton Live works with the AU version of the Console 1 plug-in only, and requires that all track names start with a “#”.